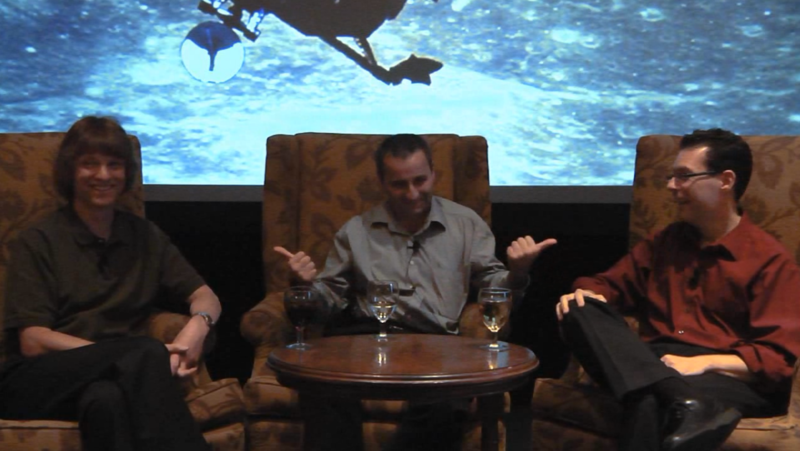 After the end of the C++ and Beyond event earlier this month, Charles Torre interviewed all three of us for Channel 9. I thought it came out really well, and stayed firmly focused on C++ — including even during the parts we talked about D and other languages, where the focus was on how their best parts could be applied to C++. Charles also taped more of the seminar, including the panels and my opening ‘keynote-y’ talk about the what’s and why’s of the C++ Renaissance. Some of those will also appear on C9 over time; I’ll blog about them as they go up. [04:17] Why D, Andrei? And what from D could and should be brought into C++? [17:25] What problems does D solve that C++ can’t? [22:03] C++ and D interoperability (COM is old, but COM is good)!